From 8-13 October, the world fusion community will get together in San Diego, USA, for the 24th IAEA Fusion Energy Conference. 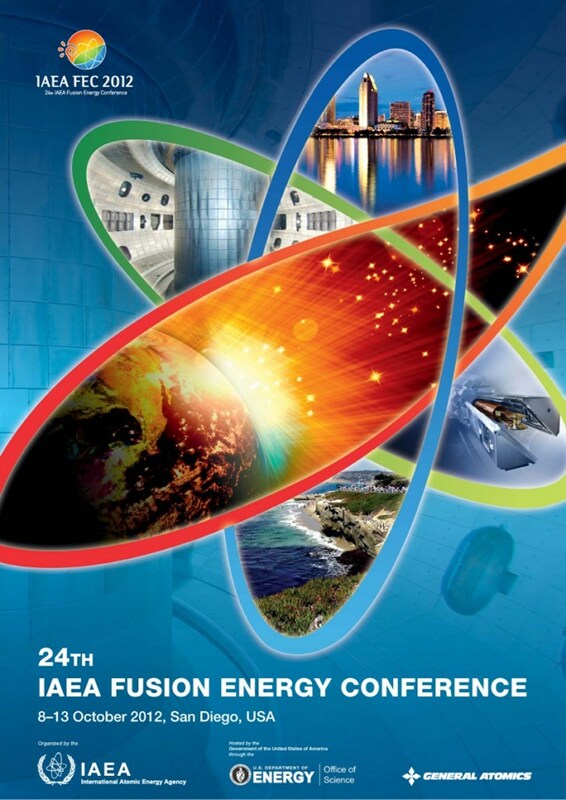 The FEC 2012 aims to provide a forum for the discussion of key physics and technology issues as well as innovative concepts of direct relevance to fusion as a source of nuclear energy. With a number of next-step fusion devices currently being implemented—such as the ITER and the National Ignition Facility (NIF) in Livermore, USA—and in view of the concomitant need to demonstrate the technological feasibility of fusion power plants as well as the economical viability of this method of energy production, the fusion community is now facing new challenges. The resolution of these challenges will dictate research orientations in the present and coming decades. The scientific scope of FEC 2012 is, therefore, intended to reflect the priorities of this new era in fusion energy research. The conference aims to be a platform for sharing the results of research and development efforts in both national and international fusion experiments that have been shaped by these new priorities, and thereby help in pinpointing worldwide advances in fusion theory, experiments, technology, engineering, safety and socio-economics. Furthermore, the conference will also set these results against the backdrop of the requirements for a net energy producing fusion device and a fusion power plant in general, and will thus help in defining the way forward. With the participation of international organizations such as the ITER International Organization and Euratom, as well as the collaboration of more than forty countries and several research institutes, including those working on smaller plasma devices, it is expected that this conference will, as in the past, serve to identify possibilities and means for a continuous effective international collaboration. For details regarding participant registration, paper submission and forms for registration, please visit the IAEA Official Website.